« What other data series could be plugged in? I’ve had a few requests to comment on Eli Rabett’s recent post, observing that he was unable to observe a Medieval Warm Period in the bristlecone chronology reported in Salzer and Hughes 2006. Looking at the tree ring index one can clearly see many large eruptions, the little ice age, but no European Warm Period, often called medieval. I can’t think how many times I’ve said that Graybill bristlecone chronologies have a hockey stick shape – which means obviously that they don’t have a MWP. That’s one of the reasons why the Hockey Team is addicted to bristlecone chronologies. Bristlecone and foxtail chronologies are “active ingredients” in virtually all the Team reconstructions. So one’s first reaction to a bristlecone chronology showing no MWP is – Well, duh. To illustrate this, I’ve shown below three bristlecone versions used in MBH99: on the left, the Sheep Mountain chronology, the Mannian PC1 and the “adjusted” PC1. We compared the Sheep Mountain chronology to the Mannian PC1 in our first submission to Nature in January 2004 observing that the Mannian PC1 was merely an alter ego for Graybill bristlecone chronologies, which were known to be problematic as a temperature proxy. On the right, I’ve shown an excerpt from the new Salzer and Hughes paper. Not much difference. So to that extent, there’s nothing newsworthy in a bristlecone chronology which doesn’t show a MWP. We already knew that. Deadwood tree stems scattered above treeline on tephra-covered slopes of Whitewing Mtn (3051 m) and San Joaquin Ridge (3122 m) show evidence of being killed in an eruption from adjacent Glass Creek Vent, Inyo Craters. Using tree-ring methods, we dated deadwood to 815-1350 CE, and infer from death dates that the eruption occurred in late summer 1350 CE….Using contemporary distributions of the species, we modeled paleoclimate during the time of sympatry [the MWP] to be significantly warmer (+3.2 “C annual minimum temperature) and slightly drier (-24 mm annual precipitation) than present. Unfortunately, Salzer and Hughes do not discuss and or reconcile any of this literature. Do they disagree with Miller’s analysis? If so, why? And why wouldn’t the reviewers ask them to reconcile their observations with other paleoclimate evidence. But hey, it’s the Team. The composite illustrated in Salzer and Hughes is a composite of 5 sites: Sheep Mountain, Campito Mountain, Mt Washington, Pearl Peak and San Francisco Peaks. Methuselah Walk and Indian Garden are also referred to. Take a look at the provenance of the series. There are 3 versions that reflect updates: Mt Washington, Pearl Peak and San Francisco Peaks. None of the updates has been archived, even though at least one of the updates is now 10 years old. But look how old the other versions are: Sheep Mountain ends in 1990, Campito in 1983, Indian Garden in 1980, Methesulah Walk in 1979. These are the Graybill versions – Graybill’s Sheep Mountain version being shown above. But we know that Linah Ababneh updated the Sheep Mountain data in 2002. We also know that Linah Ababneh’s update, aside from finding a difference between strip bark and whole bark chronologies, did not replicate Graybill’s results and had no HS shape whatever. (Figures for Sheep Mountain for strip bark and whole bark from 1600 on are shown separately in the thesis.) So the Sheep Mountain chronology had been updated – why wouldn’t this update have been used, aside from it not having a HS shape? Maybe Rabett would argue that Hughes might have been unaware of the work; or that the work did not meet quality standards. Well, Hughes was not only aware of this work – he (and Jeffrey Dean) was on her Dissertation Committee! Can someone theorize as to a valid reason for not using the Ababneh update? I can’t imagine any. In passing, I also noticed inconsistencies between the data used for the old Graybill data sets and what has been archived. (Recall the Graybill tags at Almagre where we weren’t able to locate matches in the archive.) At Methuselah Walk and Indian Garden, the number of cores shown in the Salzer and Hughes table exactly matches the number of cores archived at ITRDB. But there a lot more Sheep Mt and Campito Mt cores referred to than archived – the difference may be early crossdated cores that precede the existing archive, but one wonders whether, like Almagre, there are Graybill measurements that have never been archived for reasons that no one knows. I’ve tried to obtain the Ababneh data without success. I emailed Linah Ababneh at what appears to be her present posting and got no response. I emailed David Meko of the University of Arizona, who has an excellent record of archiving chronologies and measurements, and inquired about a University of Arizona report by Stockton mentioned in the Ababneh thesis (that bender asked about) and about the Ababneh measurements. I reminded Meko that, in her thesis, she had undertaken to archive the measurements and presumably the university was responsible for ensuring that she completed the commitments in her thesis. Meko wrote back saying that he had checked around the department and had been unable to locate the Stockton report. He also said that they did not have any of Ababneh’s measurement data and that they had lost track of her. He gave me the name of someone who might know where she was. He agreed that she should archive the data and suggested that I write to the funding agency who might take that into consideration in their grant process – (these are the people who put up with Lonnie Thompson and they’re supposed to take it out on Linah Ababneh? C’mon). He didn’t seem to think that the university had any responsibilities in the matter. He was quite pleasant, and , as I mentioned above, Meko himself has an excellent archiving record. But what a typical climate science circus. Someone goes out and updates the critical Sheep Mountain data. It doesn’t show a Hockey Stick. Instead of using the updated version, Hughes uses the old version with a HS (doesn’t this sound like Jacoby and D’Arrigo at Gasp” where they withheld an update that didn’t have a HS and refused to give me the update when I learned that they were sitting on a non-HS update.) Now the person who got the data has moved and no one at Arizona has the data. Is the “professional” standard that Eli Rabett and Tamino are holding out for Pete H and myself? We sure plan to do better than this. This entry was written by Stephen McIntyre, posted on Nov 1, 2007 at 2:07 PM, filed under bristlecones, Post-1980 Proxies, Proxies and tagged Ababneh, bristlecone, hughes, salzer. Bookmark the permalink. Follow any comments here with the RSS feed for this post. Both comments and trackbacks are currently closed. But hey, its the Team. this is the problem, individual scientists of many disciplines have produced peer reviewed proxies from all over the world showing MWP temps equal to or greater than the MWP, but it appears nobody has done a multiproxy study combining these results to portray a global MWP phenomenon. This is the excuse Real Climate, Tamino, Rabet et all use to deny a global MWP, even if published proxies have shown it all over the planet. I wish someone would step up to the plate as the data is there for the multiproxy proof of global MWP. WMRP appears to have a picture of Linah Ababneh taken in May 2006. Ababneh is not listed as a participant in the 2007 survey. I just talked to Linah Abaneh. Can you e-mail me privately? There would be some interesting fallout if the lawyers that advise the university clinical and pharmacological research programs spent a day doing a little risk management with the climatologists. Re: 1: I have such a multiproxy (no tree ring) reconstruction in press in Energy & Environment due out in December. Hint: the MWP is NOT missing in action. I’m curious. E&E is not the most prestigious of journals, so I’m guessing you sent your MS there after it was rejected elsewhere. What did the reviewers object to? What’s the dig about? I would have thought it is a matter of record that the so called “prestigious” journals have well documented “editorial” biases that influence what they will publish or not. This applies across the board to all scientific disciplines, not just “climate science”. That said, it certainly would be interesting to learn of any objections reviewers may have had in Craig’s case, assuming the study was in fact rejected as you surmise. Or someone with the smarts and credentials to get a global multiproxy study published that renovates the MWP with multiple global cites of peer reviewed papers that prove MWP temps are not exceptionally anomalous. The published literature is voluminous, global, and there for the taking. I am not aware if CO2 science has actually published, but there is a substantial amount of data on their site detailing MWP episodes around the world. 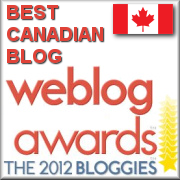 First congrats Steve on the nomination for best blog. Now not being a scietists or a statistician (can’t spell) the difference between Ababneh’s graph and the Greybill/Mann Versions is very noticable. While GM version suggests that we are continuing to warm in a continuous trend the Ababneh version suggests we might need to prepare for a cooling trend. This makes me wonder why we can’t get the data for someone to do a proper analysis and comparison. Ya gotta love the way Rabbett begs the question of how widespread the MWP was. Call it the “European Warm Period” and there’s no need to actually prove it didn’t affect other parts of the world. How could it, if it’s the European Warm Period? #12: In regards to not using/reporting unfavorable proxy updates, this is clearly the case. Steve, re#12. Bigcitylib, has made a valid point (for a change- albeit in his/her usual sneering, substandard English manner). The stripbark data is a “must-do” publication, even if it is just a technical note. I deleted BCL’s post because of the language, but yeah, it’s our intention to publish a technical note on ithe Almagre data. However, we do not have access to the updated Sheep Mountain data. Agreed on publishing Don. Dano has been making this point for a long time here. Policy is not driven by comments on a blog. Policy is driven by results published in journals that are compiled in reports, and the reports are briefed to decision-makers (census, transportation, ag., economic, climate data among other topics). That is the way of the world. If the results in scientific journals don’t agree with a particular ideology, Dano’s also made the point here that one can start their own journal for reporting the results found via application of the NewScience. I look forward to reading the results in a scientific journal. PS. I did some sampling at Mt Almagre, Colorado this summer and we located and re-sampled some of Graybill’s trees. A CA reader contacted her by telephone. She told him that her lawyer had told her not to send me the data and that my inquiry had been “improper”. I tried to send her a further email but the email to the same address as 10 days ago was returned – I presume that my IP was blocked. I really don’t want to discuss Linah Ababneh’s decisions or motives any more; she’s young and trying to make her way in the climate community. In my opinion, any major issues here rest squarely with Malcolm Hughes and the University of Arizona. The biggest question is why Hughes didn’t use the Ababneh chronology rather than the Graybill chronology? Then, why hasn’t the University of Arizona ensured that the data was archived as undertaken in the thesis? Dano and others have missed the point of this post. There is nothing in this post about Almagre data. We intend to archive the Almagre measurement data at WDCP as soon as we get it and to submit a technical report. I agree that the update to the Sheep Mountain data is worth publishing. But unfortunately it’s not under my control. I think that Thompson should publish his Bona-Churchill ice core results – taken in 2002: where are they? Perhaps Malcolm Hughes and Lonnie Thompson would not want to “influence policy”? The idea that science should be done to influence policy stinks Dano, the decision to publish should be a scientific one, not a political one. The decision not to publish should be equally scientific and not politically motivated. Otherwise objectivity goes out of the window. There is an important point that hasn’t been made yet. Ababneh has not yet published her work in a journal. The thesis is published and available online (and I recommend it to anyone who wants to read up on the background and history) but that doesn’t really count as a publication. It seems (#13) that she is still in academia and so is probably trying to get the work published. She may even be having a hard time with certain ‘anonymous’ referees. Now if I was in her situation, I would be reluctant to release all my data before my work was properly published. To get work taken seriously it needs to be published in a journal (hint hint). On Steve’s main question, it is not possible that Hughes was not aware of the Ababneh results – they are in the same department and she won a prize for her bristlecone work in 2002. She thanks him and others for “continuous guidance and constructive comments during the process of data analysis and writing”. If Ababneh replied to me that she had submitted publication to a journal and would archive the data when the article was published, I could understand why she might not want to give the data to me – even if it is now over 5 years since the data was taken. But that doesn’t explain the situation with Hughes – or excuse it. Hughes and Salzer could also have asked her if they could use her data, perhaps subject to her being given a coauthorship. (Lauritzen was given a coauthorship in Moberg et al 2005 for much less.) Would she have said no? Of course not; she probably would have welcomed it. It would have added to her CV. That wouldn’t prevent Ababneh from publishing further work on Sheep Mountain. So whatever motives Ababneh might have had in not sending data to me are completely irrelevant to Hughes’ failure to use the data. Please don’t confuse the points. Not necessarily. I know several cases where students have been less than happy for their supervisors to use their data, even with the offer coauthorship. Steve, can you expand anymore on what circumstances would cause her to consider your request “improper” or why she would be seeking the advice of a lawyer regarding the sharing of her data? Is she involved in litigation regarding the data or does she feel that your request was a prelude to attacking her thesis? I know you are probably getting a reputation in the climate community for taking people’s work apart when they have been sloppy, but perhaps she isn’t aware that you are not interested so much in auditing her work, but in using her data to audit earlier work by others? I think few on this blog would take issue with your position. We know from the points made by SteveM in 19 and 23 [and if another example were needed, from the recent Juckes intermezzo] that unfortunately, this view is not held everywhere. The very fact that a researcher would deliberately choose to not use in his own work key data that are at the core [bad pun, I know] of a student’s research he has signed off on as thesis supervisor, tells us all we need to know, and it’s not pretty. Mindboggling. Does it strike anyone else here as odd that a PhD candidate is retaining legal counsel regarding the release of dissertation data? I agree with Steve that it’s probably not her idea, and she’s probably feeling like she’s entangled in a controversy that she never wanted, but someone decided that legal advice was needed. Why? Very odd indeed. It would be interesting to know who that “someone” is and whether this “someone” works at her new or old mater. Legal counsel?!?!?!? Over tree ring data? What a crock. about clients who represent themselves. …but someone decided that legal advice was needed. Why? Probably because that someone hears whispers and murmurs of fraud accusations…from time to time, from various places (I’m not implicating CA, so relax). Regardless of their validity and source, they probably want to protect themselves from those out to get them. I don’t think it’ll come to that…but ya never know…it’s a pretty cut-throat world out there. People sue each other left and right…it’s the American way! Is it illegal or inappropriate for some other investigator to go the Sheep Mountain and take a few cores to study for himself? What are the restrictions, if any? Does MBH or the “team” own the mountain, or more specifically, the trees? It would seem that grad students or researchers in academia may have to abide by restrictions imposed upon them by their superiors, or otherwise to be intimidated by their superiors to withhold data, but what prevents independent investigators from doing what Steve and Pete H have done in Colorado? 31, that’s rather vague. If she did good science, there’s no reason to fear a fraud suit. And what on earth would Steve’s request have to do with any potential fraud? Absolutely understood is the difference between reaction wood and compression wood. Discussed here. The idea that science should be done to influence policy stinks Dano, the decision to publish should be a scientific one, not a political one. Right. Nowhere have I said it should. You may try considering there might be issues with the data. That’ll likely help resolve any issues in your mind. You may try considering there might be past issues with the requestor. That’ll likely help resolve any issues in your mind. And what on earth would Steves request have to do with any potential fraud? As my original comment said, I am not implying CA’s request has anything to do with fraud. All I’m saying is that in today’s world, some people will seek counsel just to be on the safe side. Yes, Steve’s request is valid and not to go after her…but, others could take advantage of the situation and publicity and go after her. If she did good science, theres no reason to fear a fraud suit. Agreed…and the possibility that the science is bad is a real one, as this thread is discussing. I’m simply throwing out my “non-sequitur” for discussion. Sorry to cause confusion. Agreed. And it would seem that the best way to inoculate one’s self from accusations of fraud would be to “get the data” out there. No, it seems far more likely that she has been advised to just be uncooperative by others who don’t want Steve to succeed in bringing to light questionable proxy choices by certain individuals who publish millennium time-scale proxy-based temperature reconstructions. See the Websites and publications related to the White Mountain Research Station (WMRS), WMRS-GLORIA project, and their relations with the U.S. Forestry Service (USFS). Also note the data archiving policies of the WMRS-GLORIA project. The WMRS is a former military research station used to study high altitude effects upon aircrew and aeronautical systems. There has been some degree of cooperation and permissions between the researchers and the USFS. This implies there may be some concern for ensuring other activities will not interfere with past and present research activities. That said, the USFS would presumably cooperate with new researchers whose activities can be approved by the USFS. So, what resources are required to constitute a valid project, and who is willing to volunteer those resources? Where can the resulting datasets be archived for free public access? You may try considering there might be issues with the data. Thatll likely help resolve any issues in your mind. How would one get a PhD with such data issues within a dissertation? Is there a rubber-stamp factory for PhDs or something? You may try considering there might be past issues with the requestor. Thatll likely help resolve any issues in your mind. Oh yes, evil Steve M, asking when data will be archived and if he can get a digitized copy of it in the meantime – the horror! I imagine most any PhD student should have a lawyer on board just in case such a thing might happen. Folks, I can imagine lots of other scenarios why a person would just Not Want To Be Bugged, having nothing to do with climate, politics, science, etc. Maybe she’s just a normal person wanting a normal “real” life, and is not really a “Netizen.” People like that do exist. #40. Thanks, Pete. I requested that there be no more discussion of Ababneh – she’s young and I’m not going to fault a young person who’s trying to make her way in the world. She’s got lots of pressure on her. My problem is entirely with Hughes’ failure to use Ababneh’s work. Let’s speak to that. Given the sensitivity of White Mt bristlecones, I can understand why the Forest Service in that area might be reluctant to grant permits to anyone other than people directly associated with laboratories known to them. I actually don’t have any problem with that as long as the institutions so recognized acknowledge that some responsibility goes with that. If U of Arizona is permitted to update the bristlecones under a Forest Service permit, then they are doing so not merely for their personal academic advancement but for the Forest Service. Exploration geologists do just as much if not more work in remote places as dendros, but they don’t own their results. They’re entitled to get paid, but the company owns the results. I don’t have any problem with qualified dendros updating the cores, as long as they actually do it and actually report it. HAving said this, I think that some of the recording practices that we used (primarily Pete, but I recognized and encouraged the need for proper recording) could well be applied by dendros. I’m not suggesting that our sampling program should be used as a template for other programs. I viewed it first of all as an audit of the excuses why proxies could not be updated and I think that even Eli Rabett and Michael Mann are going to have a tough time perpetuating the line that they are too “Expensive” to update and will have to adopt other excuses. ??. Virtually all the information on CO2Science.org is taken from peer-reviewed published literature. Of course, there is some “filtering” going on in summarizing some of the articles. Nonetheless, one would have a very hard time, IMHO, arguing that the MWP was not a prominent world-wide event, given the number of relevant studies summarized at CO2 science. If you want to “bug” a true believer, just mention that site, and they usually go ballistic. Who would ‘peer’ review Steve Mc’s paper(s)? Do you think there is value in approaching the Forest Service at a high level and asking that they place a requirement in their coring permits that the results be archived within a set period of time? Institutions or individuals who refused to comply with the permit terms could then be denied future permits, effectively limiting their ability to continue doing new work on Forest Service lands. I am sure getting any form of uniformity established between various FS offices would be difficult, but it seems like asking the journals to enforce their own archiving policies has been mostly a dead end and we need to look at other avenues to encourage these folks to archive their data in a timely manner. I am not aiming that at Ababneh, because I am beginning to suspect that she may not be in full control of her own data given her comments about legal advice. Exploration geologists do just as much if not more work in remote places as dendros, but they dont own their results. Theyre entitled to get paid, but the company owns the results. Under most exploration laws, the exploration company is obliged to hand over copies of all exploration data to the national geological survey. As usual, the usual suspects have the usual excuses and the usual logical mumbo-jumbo. There are two sets of people, those who archive and those that don’t. I mistrust those that don’t, on the basis of their actions. Regardless of who’s asking for the data or why. Anyone that’s followed any of this that’s scared of Steve looking into their product has pre-proven they have something to hide and its up to them to prove the opinion is wrong. There are two sets of those that archive, most of which cooperate with Steve. Sometimes he finds issues, and sometimes he doesn’t. The work should stand on its own merit. If you have a quality product, you want people to know that, and you assist them. Stupid vain ignorant excuses are just that, excuses. As far as publication, all this whining about E&E perplexes me; what’s wrong with it? The wikipedia article on it has to rely on ES&T Online News for half its references! Just because somebody doesn’t like some of the staff or published authors, and some articles come to conclusions that some are unhappy with doesn’t make it any less of a legitimate source, and it is very egotistical to think that just because something isn’t in one of the “more prestigious” (AKA more biased towards a certain conclusion, perhaps?) journals doesn’t mean much, with the juevenile “guilt-by-association” argument a poor argument indeed. Tim, peer-review? I would guess statisticans and experts in the field the paper is on. Dano, you didn’t explicitly write it, but it would be an inevitable consequence of what you were suggesting, and I used Hughes etc. to illustrate that possibility. Luckily none of it really applies anyway, policymakers aren’t really influenced by the journals; you’re just plain wrong there. They are influenced by votes, and then cherry-pick what is in the journals to support their position. Check it out. You’ll be amazed. Dano, except for the little dig about past issues with Steve as the requestor, you are making a lot of sense on this thread and are being very civil. Are you feeling sick and not your usual self, or have you realized that Steve is just trying to make things better, or is it that you’re posting here vs one of the other places? Or is it some other explanation out of the many possible? Anyway, it’s a nice change of pace. How is it determined when datasets obtained from public property are in the public domain and when they are in the private domain? The mega software corporation of Ashton-Tate went bankrupt after a court ruled the copyright/s on it’s dBASE software were invalid because some of its original code was produced by a publicly funded universtiy activity. What are the standards for the dendro datasets which put those datasets into a private domain or a public domain? 51, I don’t think they’re trying to claim copyright protection, but I better not go there, or Gunnar will come out of hiding. Several readers here are acquainted with the handling of geological samples and related scientific publications. How do they compare to what we know about dendro works? Regarding your list of five aspects…in academic geologic studies (although my experience isn’t very long), I’ve never heard of someone requesting access to the actual physical samples. I don’t know how or if law applies to that…but, if a geologist wants to challenge a certain paper/study, they will go out and collect their own samples (going to field typically satisfies more than just sample collection anyway…you need to see the rocks in their natural habitat to understand the problem). But…in terms of the other four aspects, I have heard of people requesting the raw data from analyses (the stuff that doesn’t make it into the paper) so they can compare to their own. As far as I know, people are pretty accommodating. And, of course, once data is published, it should certainly be accessible. But…it seems to me we’re entering unchartered territory. Usually, if someone wants access to samples/data, it’s one or two other geologists…pretty low-key…not a request from a popular blogger with the backing of a large, and vocal community. I’m not saying this is wrong, but different. It should be interesting to see what develops. Thank you for your response, Brian. While I am not familiar with current practices in academia, I do know that commercial exploration in petroleum geology and mining geology does make extensive use of the physical drill cores. This is apparent when you witness the many drill core storage facilities maintained by the USGS, Canadian Provincial governments, other governments, and commercial laboratory and storage facilities. I’m aware of some circumstances where the commercial and government storage facilities do maintain some forms of restricted access for drilling cores for which a proprietary interest still exists, but other drilling cores do not have such proprietary restrictions. What I am not familiar with, however, is the extent to which different storage facilities exercise proprietary and/or custodial authority for the drilling cores. Who owns a physical rock drillling core and controls access to it versus who owns a physical tree core and controls access to it when the core sample originates from public property? In paleontology, for another example, a speciman fossil may be (1) a permanent property item owned by the museum; (2) a permanent loan item owned by another public or private entity and which is in the permanent custody of the museum; or (3) a temporary loan item owned by another public or private entity and which is in the temporary custody of the museum. In the case of U.S. Government ice cores, the National Ice Core Laboratory-Science Management Office (NICL-SMO) strictly controls and restricts access to the ice cores soley for approved research grants. The INSTAAR Dendrochronology Lab University of Colorado at Boulder maintains a small tree core collection in some bins at the back of its small laboratory. The International Tree-Ring Data Bank (ITRDB) makes its data freely available, but many of the tree cores are archived at the universities and not at ITRDB. Who has proprietary ownership and/or custodial authority for these tree cores when they originate from public land and properties? Governments have been exercising extensive control over offshore treasure recoveries. Governments have incresingly imposed controls denying photographers access to public buildings, monuments, parks, and public lands. Are we perhaps seeing the advent of a discrimination in access to meteorological data and tree core samples obtained from public property on the basis of political discrimination and favoritism? In Australian mineral work, material best explained by the diamond drill core example is required to be split/sawn longitudinally and stored in an approved facility indefinitely. The rock belongs to the people in the name of the Crown, this being a prior condition before drilling is permitted. A party can apply to the relevant government to further split (quarter) core for the purpose of more analysis, and so on further. Such approval will often be given. I have caused it myself. There can be several reasons, not all involving suspected fraud. An economic concentration of an unsuspected mineral, different metal, etc., might have been missed first time round. The core shed is commonly the largest building at a mature exploration camp and it is costly to maintain by the company. Offsetting this, it is a font of information. The mineral industry works to far higher standards than those expressed above for dendro. Good geologists develop a smell for data that someone has fiddled with and cases of fraud are rare and seldom develop far these days. The USA has long had a bigger fixation on intellectual and property rights and legal wrangling. The University of Chicago law school is strong on property rights. It would be a shame if people like they had to be brought into the matter of making data available to others because that admits credence to a bad principle, namely concealment of data. I agree that Dr Ababneh be left alone to sort out her young problems as much as possible and that conjecture is unhelpful to anyone. Save your powder for those who look like being shown wrong and unscientific when they were old enough and experienced enough to know better, if that is the way the matter falls. 53, the distinction that I was trying to draw was between a positive IP enforcement (i.e. your example of copyright protection) where the owner of the IP can compel others not to use their property, which is accessible to the public, and this case, where you’re trying to compel the keeper (not necessarily the owner) of IP that’s being kept secret, to reveal the IP to the public. Legally, it’s apples and oranges. I fear the appearance of Gunnar if this topic continues to shift toward IP, law, etc. Lets stick to why Hughes did not use a data series that he was obviously well aware of and is more up to date. This is more of an ethics discussion, and I am beginning to feel that ethics do not matter in acedemia when future grants are on the line. The fit between growth and 18O in the ice core from Peru looks pretty good. Do trees adapt to changes in the average temperature, say over the course of a decade or so? So if a tree is “moved” to an area which is 2 degrees lower than it was used to, does it by any chance spend a decade optimizing its biochemistry to grow maximiumally under these new conditions? Such a slow response make a lot of sense. I would like to think it would be peer reviewed by statisticians and experts in the field. In light of the history of publications in the climate field it is a rather naive assumption. But who in climate has demonstrated the knowledge of statistics as applied to climate to qualify? The chances are most editors would send the article to those who have created the problems or their affiliates. Of course, it also depends upon the journal in which it is published. If it is not in what is considered a ‘name’ journal it will be derided and likely ignored, especially by the media. I have experienced the evolution of publishing climate related material. Initially there were very few climate journals. Nature and Science were not interested and the subject was so interdisciplinary it was difficult to find a journal in the increasingly specialized world. A big breakthrough came when Geophysical Research Letters began publishing climate and climate related articles. The problems developed when the modelers usurped the field by dominating conferences and publications. This is still the case as Wegman identified. A problem also developed that I call peer review censorship because articles that questioned the prevailing wisdom went to the high priests of that wisdom and they rejected the article. I believe the group Wegman identified also review each others material, which is why the question of ‘peer reviewed’ has become a major weapon in silencing those who ask questions. If you know you can guarantee your peer reviewed publications and control to some extent what gets published, that is you set and determine the rules, you can put down people who question by challenging their qualifications because of a paucity of peer reviewed papers. It is another form of the consensus argument. I am challenged not with a lack of peer reviewed material but because they say, incorrectly, I have nothing peer reviewed for 10 years. Surely, proof of the control and misuse of the peer review system is the publication of Mann’s hockey stick article. Who peer reviewed it? Why aren’t we allowed to know? Can we find out who peer reviewed all the articles published by the 43 Wegman identified? Peer review must be an open process. If you are not prepared to say something openly then maybe you shouldn’t be saying it. There is also the interesting legal but also moral question about a person being able to face their accuser. Blessed are they such as the editor of Energy and Environment who are genuinely willingly to publish what the main stream, prevailing wisdom and biased journal editors reject, to give all ideas a forum. Part of the proof of my concerns and argument are the pressures in this blog for Steve Mc to publish, preferably in peer reviewed journals, implying that somehow this would give his words and ideas more credibility. I am not sure considering the plethora of information in many fields about corrupted processes of peer review. I will argue that In a very important way almost equal to his actual work Steve Mc has caused massive consternation, not only by identifying serious problems with the science, the scientific method, the statistics and statistical methods of climate, but by doing it outside this guarded, incestuous, system. #60 Tim Ball: Part of the proof of my concerns and argument are the pressures in this blog for Steve Mc to publish, preferably in peer reviewed journals, implying that somehow this would give his words and ideas more credibility. I am not sure considering the plethora of information in many fields about corrupted processes of peer review. I will argue that In a very important way almost equal to his actual work Steve Mc has caused massive consternation, not only by identifying serious problems with the science, the scientific method, the statistics and statistical methods of climate, but by doing it outside this guarded, incestuous, system. It is only the appearance of the Internet that allows Steve McIntyre and others like him to go beyond their initial work in examining an important scientific and public policy issue and to maintain a forum where honest and open discussion can be used to examine both the science itself and the means by which that science is being pursued. In that sense, the science itself, the means by which the science is being pursued, and the approach used to audit the science are one in the same thing, especially if significant public policy questions are involved. The opportunity exists to use the Internet as a means of establishing an open and honest peer review process, one which is beyond the ability of the dogmatists and the public policy opportunists to control. As with so many other projects that become successful enterprises on the Internet, the demonstrated quality of the work that is accomplished and the demonstrated integrity of those who participate in the process will become the benchmarks as to whether an Internet-based peer review process could gain a significant following in the scientific and public policy communities. I agree about the Internet, but already there are problems with the transfer of traditional processes. Witness the problems discussed at length on this site about the electronic journal Climate of the Past and we have seen the manipulation of data on Wikipedia. It is fine to say the errors are corrected, but often by the time it happens many students have taken and used incorrect information. 62, the other rule of the internet is caveat emptor. I’m afraid that that’s the way it’s going to be from here on out. Trust but verify. I was present in Boulder this past late July when Chris Mooney presented at NOAA on his new book on hurricane prediction, Storm World. From the floor, Bill Grays only complaint was Mooney’s neglect of the self-interested nature of scientists, when given institutionalized funding sources. The lure of lucre from the Pork Barrel was concept that appeared beyond Mooneys comprehension about scientists. Such was and remains his selfless, heroic, starry-eyed view! Afterwards, I chatted with both. I mentioned to Gray that the IPCC has not repealed James Madisons insights into human nature. He encouraged me to move further on the subject. I said I would, but it had to wait until after October. My oldest best friend, with a newly minted PhD in history from Wisconsin doing economic history, was working with James Buchanan in 1986 at George Mason University, when he was awarded the Nobel Prize in Economics for his work on Public Choice economics. In fact, the previous spring, when my buddy asked for post-grad job offer advice, I told him to go with Buchanan because he was going to win it. (Little did I know that it would come so soon.) Naturally, he is the only Nobel Prize winner I have ever met in person. Now is the time to seize the post-Wegman moment and do the research that many critics of the IPCC establishment see needed to expose the corruption of climate science many have long suspected. I have many friends of friends to contact to find out the current status of any such efforts. Economics is said to be Imperialist Discipline because there is no field of endeavor they restrict their analytical tools to investigating. Despite the crying need for it, I know of no such efforts yet undertaken. No doubt, whatever the results of these research findings, the usual counter-claims of envy, political bias, moral terpitude, and oil industry malfeasance will follow  even fiercer now that IPCC brown-nosers can claim that huge public recognition. The coming Battle of the Tribes for the totem of scientific authority will be amusing to see. Using overlapping growth-rings to compare climate across hundreds of years seems suspect to me. For example, if trees grow better in the warm periods, then the sampler would find otherwise similar trees of different generations to be “complacent” in the warmer periods, so would sample more marginal specimens giving better data, leading to an inherent “high-pass filtering” bias. I am involved in the petroleum industry (Canada). Data is holy in my business. Physical well cuttings samples, whole core or geophysical wellbore logs are archived by the provincial authorities for the use of the public. There are restrictions on distructive testing but access is available at modest expense for ANY individual, whether sposored by a company or not. One thing I would suggest is that people realize Salzer and Hughes is not a temperature reconstruction, there is no transfer function, and they do not even consider post 1900 data in their analyses. As such, there is no reason for the authors to use updated Sheep Mtn. data for this work as demanded by McIntyre on CA. I’m wondering about the “post 1900” part. Of course there are still issues with selecting one of two proxys from the same area (Sheep Mountain) that do not agree. in academic geologic studies (although my experience isnt very long), Ive never heard of someone requesting access to the actual physical samples. In 1987 I worked at the Geological Museum in Delft. The museum has holotypes of microfossils in Indonesia. A scientist of the National History museum found that the microscope slides he had were deteriorated, so we cut of a slice of the holotype rock specimen and I carried it to London. Your works fit the objective of the journal (see below) and could be considered for more than one section depending on the focus. The format of this journal also accommodates maps, graphs, photographs, and color reproduction. Also, this recent article might provide some interesting reading: Steven M. Quiring, “Trends in Publication Outlets of Geographer-Climatologists,” The Professional Geographer, Vol. 59, No. 3 (Aug), 2007, pp. 357-64. Does anyone have access to the Salzer and Hughes paper? Check thread by same name at CA. It’s there. Thanks Bender, I got it. As I read the report, it appears that data from 1900 to present were excluded only in the SEA analysis that is supposed to differentiate between volcano related ring minima and drought minima. They used events between 1600 and 1900 to generate the SEA “calibration” (if I can use that term) to which the entire data set was then compared. Table 2 in the report actually mentions frost ring signals in 1941 and 1965, and also indicates that there were no tree ring minima in the 20th century, other than the 2 frost ring signals. Given these details, I think the original excuse I posted in #67 is flimsy at best. Particularly since Steve made it pretty clear in his thread on the paper that it wasn’t a temp paper and it didn’t really use post 1900 data…? You don’t have a real good sarcasm detector Steve. But more seriously if you have been following tamino and the AR4, you would realize that the solar types no longer think that the change in insolation was much smaller than they thought even in the TAR. This casts claims of EWPs and LIAs in an entirely different light and makes it much more likely that changes in temperature globally were fairly small as most of the proxy reconstructions show. OTOH, Eli would appreciate it if you attribute Tony Watt’s words to Tony Watt. the solar types now think that the change in insolation was much smaller than they thought even in the TAR. Wow, a pseudonym referring to himself in the 3rd person. Steve might not have a “real good sarcasm detector,” but he sure has a good bullcrap detector. You dont have a real good sarcasm detector Steve. But more seriously if you have been following tamino and the AR4, you would realize that the solar types now think that the change in insolation was much smaller than they thought even in the TAR. This casts claims of EWPs and LIAs in an entirely different light and makes it much more likely that changes in temperature globally were fairly small as most of the proxy reconstructions show. No matter what (some) solar scientists think now, there is an excellent correlation between reconstructed solar variations and reconstructed temperatures since about 1600 and 1950 (and further). The real variations do matter: if there was less amplitude in solar variability in the past, that implies a larger sensitivity for solar, to explain the temperature variations. See the discussion between Rasmus Benestad and Scafetta on that topic at RC: “How not to attribute climate change”, from comment #4, 21 (mine) and #24 (Scafetta) on. On the other side, if there was less amplitude in temperature variability in the past, then the sensitivity for solar is smaller. Greenhouse gases show only small variations in the pre-industrial past: about 10 ppmv for the MWP-LIA period, this has negligible effect on temperature. Thus the past variation in temperature is mainly from solar variations and volcanic eruptions. The influence of volcanic eruptions in average is less than 0.1°C over the full 400 years period. If one has small variations like Mann ea. then solar variations cause a small variation (about 0.1°C) in temperature. If one has less/no influence from HS shaped tree-ring series (which suppress variability in the pre-1850 period), like in Moberg and Huang (bore holes), then the variability of temperature caused by solar influences was about 0.7°C. Does that influence the sensitivity for 2xCO2? According to current climate models, no. Climate models assume that 1 W/m2 change in solar forcing has the same effect as 1 W/m2 more greenhouse gas forcing (within +/- 10%). This is far from sure, as the effect of e.g. solar UV changes is mainly in the stratosphere, which causes changes in jetstream position and rain patterns. And solar penetrates deeper in the oceans (and cloud drops) than IR waves, which are absorbed/reflected in the upper fraction of a mm of the water surface… The HadCM3 model probably underestimates solar changes with a factor 2, see Stott ea. (within the constraints of the model, like a fixed influence of aerosols).